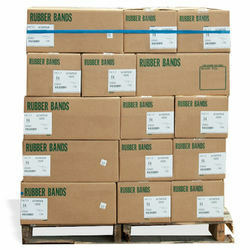 Alliance Rubber, USA Make - Pallet Rubber Bands. The EBC1 Enclosed Blade Cutter features an recessed blade for the highest level of safety and avoids all potential cut injuries on the job. Unlike cutters with exposed blades, the blade in the EBC1 is set back into the head of the cutter, providing complete protection to the user. This safe and uncomplicated tool requires no additional training and helps eliminate any potentially dangerous loose blades in the workplace. The versatile EBC1 effortlessly cuts corrugated boxes, shrink wrap, plastic strapping, box tape, banding, twine and more. Attach to CL-36 Coil Lanyard for better retention. 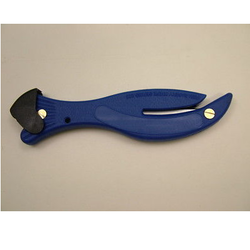 The EZ2 Enclosed Blade Safety Cutter helps to eliminate loose blades from the workplace and reduces potential injuries. 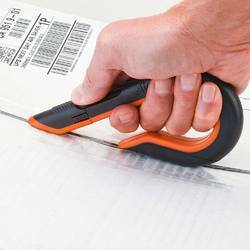 This ambidextrous tool cuts boxes, shrink wrap, plastic strapping, twine and features a convenient tape splitter. Attach to CL-36 Coil Lanyard for better retention. The DFC-364 Disposable Film Cutter is the ideal choice for cutting shrink wrap, plastic bags, plastic straps, twine and more. By using this enclosed blade cutter you can eliminate loose blades in your workplace and prevent costly laceration injuries. Plus, the integrated tape splitter is great for opening boxes without damaging the contents while keeping your employees safe. Attach to the CL-36 Coil Lanyard for better retention. The DFC-364 Food Safe Cutter is NSF Certified and ideal for food service and manufacturing facilities. To prevent cross-contamination they are available in Red, White, and Yellow, and comply with HACCP safety standards. They are easy to clean, sanitize and are the ideal choice for cutting cryovac, plastic bags, shrink wrap, paper bags and strapping. By using this enclosed blade cutter you can eliminate loose blades in your workplace and prevent costly laceration injuries. Plus, the integrated tape splitter is great for opening boxes without damaging the contents while keeping your employees safe. Attach to the CL-36 Coil Lanyard for better retention. The BC-347 Bag Cutter is a disposable NSF Certified Safety Cutter ideal for food service, manufacturing and retail stores. The Bag Cutter features an enclosed stainless steel blade which helps to avoid loose blades in food service locations and eliminate workplace lacerations. It is the ideal choice for smoothly slicing through food pouches, plastic bags, shrink wrap and more! Users also utilize the tape splitter for opening boxes and further reducing potential injuries. Attach to the CL-36 Coil Lanyard for better retention. S8 Ambidextrous Safety Cutter :The ambidextrous S8 Safety Cutter is another exciting advancement to PHC's industry leading S-Series line of safety cutters. This ground breaking safety cutter helps consolidate purchasing and eliminates the need to keep two separate cutters on-hand for your workforce. The one-of-a-kind ergonomic handle can easily be set for both left and right handed use - just rotate the handle and flip the blade! Similar to the massively successful S4 and S5 Safety Cutters, the S8 reduces costly razor blade injuries and makes box cutting safe, easy and comfortable for both left and right hand users. The S8's dual-fixed steel guard will not flex, bend, or break like other cutters and is designed to protect the user. The guard also serves as a guide for executing the perfect cut every time, turning even a new-hire into an expert cutter instantly. The unique angle of the blade is set specifically to avoid damaging the contents within the box. Plus, this adaptable safety knife has three blade depth positions to increase efficiency; top cut, shallow tray cut and deep cut. Users also find that utilizing the heavy duty tape splitter while opening boxes further prevents injuries and extends the life of the blades. Purchase with corresponding UKH-594 Safety Holster and CL-36 Coil Lanyard. The S7 Safety Cutter combines the utility of an industrial knife with the safety benefits of a self-retracting safety cutter. To maximize productivity this 3-in-1 tool incorporates an easy release film cutter, heavy duty tape splitter and versatile safety box cutter. To prevent painful and costly injuries, the ambidextrous S7 features an innovative robust metal guard that moves in tandem with the blade, retracting both the guard and blade simultaneously. 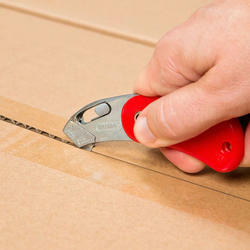 The guard covers the blade during top cutting to protect the user and the unique angle of the blade is set specifically to avoid damaging the contents within the box. The spring-back blade can also be extended without the guard when needed and has three locking blade depth positions; top cut, shallow tray cut and deep cut. The integrated film cutter is perfect for safely cutting shrink-wrap, plastic straps, twine and more. Users also find that utilizing the heavy duty tape splitter while opening boxes further prevents injuries and extends the life of the blades. With the easiest blade change on the market this universal cutting tool reduces costly razor blade injuries and makes box cutting safe, easy and comfortable. For better retention, purchase with corresponding UKH-545 Safety Holster and CL-36 Coil Lanyard. 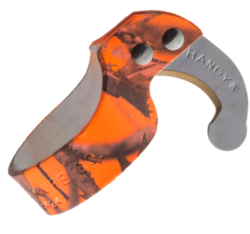 The S5 Safety Cutter is an exciting upgrade to the industry leading S4 Safety Cutter. This 3-in-1 tool takes the essential box cutting and tape splitting features of the S4 and adds an integrated film cutter for safely cutting shrink-wrap, plastic straps, twine and more. This innovative cutting tool reduces costly razor blade injuries and makes box cutting safe, easy and comfortable. The fixed steel guard will not flex, bend, or break like other cutters and is designed to protect the user. The guard also serves as a guide for executing the perfect cut every time, turning even a new-hire into an expert cutter instantly. The unique angle of the blade is set specifically to avoid damaging the contents within the box. Plus, the versatile S5 has three blade depth positions to increase efficiency; top cut, shallow tray cut and deep cut. Users also find that utilizing the heavy duty tape splitter while opening boxes further prevents injuries and extends the life of the blades. For better retention purchase with corresponding UKH-423 Safety Holster and CL-36 Coil Lanyard. 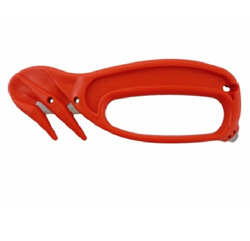 The S5 Safety Cutter is sold in green for right-handed users and red for left-handed users. S4S Self-Retracting Safety Cutter W/ Fixed Metal Guard:Building onto the success of the S4 Safety Cutter, the S4S Self-Retracting Safety Cutter features a safety point blade that retracts once the cut is completed. This innovative cutting tool reduces costly razor blade injuries and prevents damaged product. It makes box cutting easy, safe and comfortable. The fixed steel guard will not flex, bend, or break like other cutters and is designed to protect the user. The guard also serves as a guide for executing the perfect cut every time, turning even a new-hire into an expert cutter instantly. Plus, the versatile S4S has five blade depth positions and the angle of the blade is set specifically to avoid damaging the box contents. Users also find that utilizing the heavy duty tape splitter while opening boxes further prevents injuries and extends the life of the blades. Purchase with corresponding UKH-423 Safety Holster and CL-36 Lanyard. 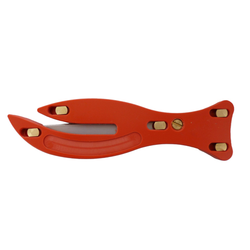 The S4S Safety Cutter is sold in green for right-handed users and red for left-handed users. The EZ7 Guarded Spring Back Safety Cutter features a metal cutting guard that moves in tandem with the blade, retracting both the guard and blade simultaneously. The guard covers the blade during top cutting to protect the user and to help reduce damaged product. The spring-back blade can also be extended without the guard when needed. Purchase with corresponding UKH-324 or UKH-325 Holsters. Attach to CL-36 Coil Lanyard for better retention. 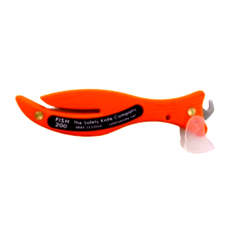 The EZ1 is a lightweight and easy to use Self-Retracting Safety Cutter. 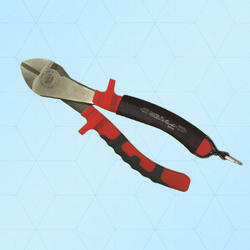 This ambidextrous tool has a durable safety wear guard and features a super easy blade change. Attach to CL-36 Coil Lanyard for better retention. The versatile QBS20 Safety Utility Knife combines the durability of an industrial knife with the safety benefits of a self-retracting safety cutter. To prevent painful and costly injuries, the blade will spring-back into the cutter once the cut is completed. The unique integrated hinge design and easy-open dial make for a convenient tool free blade change. Plus, the all metal construction is extremely durable and features a comfortable ergonomic rubber grip. For better retention purchase with the UKH-326 Leather Holster. 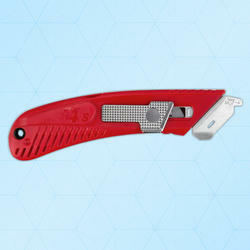 The PSC2 Pocket Safety Cutter features a self-retracting blade, durable tape splitter and compact design. It is the perfect size for any small cutting jobs while on the go. Available in three colors - Red, white, and blue. Also available to be imprinted with any customized company name and logo. The S7 Safety Cutter combines the utility of an industrial knife with the safety benefits of a self-retracting safety cutter. To maximize productivity this 3-in-1 tool incorporates an easy release film cutter, heavy duty tape splitter and versatile safety box cutter. To prevent painful and costly injuries, the ambidextrous S7 features an innovative robust metal guard that moves in tandem with the blade, retracting both the guard and blade simultaneously. The guard covers the blade during top cutting to protect the user and the unique angle of the blade is set specifically to avoid damaging the contents within the box. The spring-back blade can also be extended without the guard when needed and has three locking blade depth positions; top cut, shallow tray cut and deep cut. The integrated film cutter is perfect for safely cutting shrink-wrap, plastic straps, twine and more. Users also find that utilizing the heavy duty tape splitter while opening boxes further prevents injuries and extends the life of the blades. The GSC3 Guarded Safety Cutter features an unique self-activating safety hood designed to keep the user safe. The clear hood will automatically cover the blade at the end of each cut, virtually eliminating injuries. The ambidextrous GSC3 includes cutting guards for added safety and efficiency. Plus, utilizing the bladeless tape splitter also reduces injuries. Purchase with corresponding UKH-324 or UKH-325 Holsters. Attach to the CL-36 Coil Lanyard for better retention. The RSC432 Food Safe Cutter is NSF Certified and ideal for food service and manufacturing facilities. It features a unique self-activating safety hood designed to keep the user safe. The hood will automatically close to cover the blade at the end of each cut, virtually eliminating injuries. The safety point blade in this cutter is not removable, which avoids potential loose blades in food service locations. Utilizing the bladeless tape splitter also reduces injuries. For better retention, purchase with the UKH-443 Holster and CL-36 Coil Lanyard. The Penguin 900 is a heavy duty version of the Penguin 400 design, with the addition of the 'opposing slopes' on the knife head and the blunt tape cutter at the handle base, the 900 series is an effective, versatile cutter. EGA Master has developed a very complete range of pneumatic and hydraulic tools for underwater application; grinders, impact wrenches, drills, saws (etc.) All of them are specially designed for professionals who usually work in underwater environment: sunk boats, submerged structures, oil rigs, hydro electric power station (etc.). Because of their desing, they are suitable for being used at all depths accessible to divers. We are offering Non Sparking & Non Magnetic Toolsto our clients. Recommended and required in flammable environments where combustile vapors, liquids, dust or residue are present. An investment today that will prevent dangerous and costly fires tomorrow! NON-MAGNETICPrevent accidents and protect property in medical,military and electronics manufacturing units. Ideal for use near highly sensitive magnetic equipments, MRI and cleanroom environments. 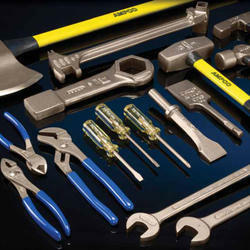 Available in THOUSANDS of Standard SizesWith over 2200 standard styles and sizes, AMPCO has a tool for every purpose! •Work crews and safety managers alike depend on the Ball Point Safety® ring knife because it is efficient, lightweight, safe and convenient. •The blade has a blunt rounded tip that adds an extra layer of safety to an already very safe knife. •And because the Ball Point Safety® knife has a shorter distance between the user's finger and the top of the knife, there is less chance of it catching on something as it is worn around the shop or warehouse throughout the day. •The band is made of aluminum, and the steel blade is hardened through heat-treating. •The rivets are nickel-plated brass. 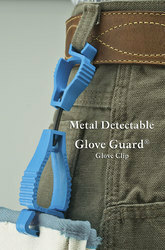 •This style of metal band is a great choice for the worker who uses his or her knife "off and on" throughout the day. •The ring knife design also decreases the chance of repetitive motion injuries such as carpal tunnel syndrome. •As with all our safety knife products, there is a variety of sizing options available ranging from 6 to 18. For greater user comfort, add a vinyl wrap. •"Wear it like a ring, it's always Handy®". •Our customers asked us to create a Handy Safety Knife® that could allow them to more easily gain access into tougher materials they need to cut into -- so we created the Razors Edge® Knife. •The blade's pointed tip and the straight edge make this our most rugged safety ring knife yet. •The Razors Edge® knife blade is made from a hardened stainless steel that will resist corrosion and stay sharp. 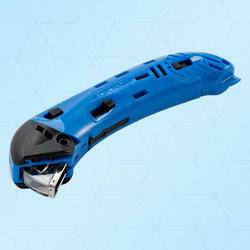 Whether you are opening stretch wrap or a bag of mulch, cutting rope or electrical wires, trimming a piece of carpet or Linoleum, or untangling an impossible knot, the Razors Edge® knife will make the task easier. •As the name implies, the Razors Edge® knife is very sharp and can cause injury if not used in a safe, proper manner -- please use with caution and common sense. •Available in sizes 6 to 18 for greater user comfort add a vinyl wrap. 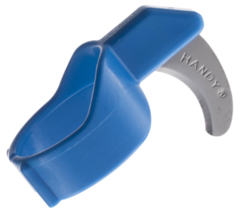 •"Wear it like a ring, it's always Handy®"
Made By Handy Safety Knife, USA. •Our signature product is a handy, efficient and safe cutting tool -- and it has stood the test of time. •We have been manufacturing this safety ring knife style since our company was founded. •Our customers depend on the Original Ring Knife because it is efficient, lightweight, safe and convenient. •The ring/band is made of aluminum, the steel blade is hardened by heat-treating, and the rivets are nickel-plated brass. •The Original blade has a blunt tip and is only sharp on the under side (cutting side). •The Original is a great choice for the worker who uses his or her knife "off and on" throughout the day. •For greater user comfort, add a vinyl wrap. •Available in sizes 6 to 18..
•While safety is a feature of every product we make, The Basic model offers another level of safety and performance thanks to its "break away" design. •Designed with a "rib" at the bottom of the band that can be cut, the user has the freedom to "pull out" of the ring in the unlikely event the blade would get stuck or caught in something. •The Basic is constructed of a molded polycarbonate material and comes with The Original style blade. •And because The Basic offers a less expensive, plastic alternative to our popular metal safety knives, it is a good choice for applications where the knife will be discarded at the end of the project. •Additionally, the Ring's cut-able band helps eliminate the guesswork involved in deciding what size ring knives to order for your crew. The small knife (red) fits finger sizes 7-10, the medium (green) fits sizes 11-14, and the large (blue) fits sizes 15 and up. •The low number in each size range indicates the size The Basic fits when the rib is intact; the higher numbers indicate what the band is adjustable to with the rib cut. The Basic can be special ordered in any color specification. •"Wear it like a ring, it's always Handy®". Fish 200 complete with tape cutter and cover. The tape cutter is a thumbnail shaped piece of blunt metal, just enough to split tape on a box. The original Fish 200 complete with hook blade and cover. Fish 200 with no hook blade or tape cutter. This is usually the specification when used as a rescue knife or when the hook or tape cutter option is not required. QBR-18 Retractable Metal Utility Knife:The QBR-18 Utility Knife is contractor quality with a die cast metal body, ergonomic rubber grip and three secure locking blade depths. It's all metal construction is extremely durable featuring a convenient tool free blade change with it's integrated hinge design and easy-open dial. Purchase with the UKH-326 Leather Holster. The QBA-375 Utility Knife is a favorite among contractors and industrial professionals everywhere due to its truly unique auto-loading design and sturdy construction. This ground breaking tool features a one-button automatic blade change that comes pre-loaded with five additional blades which can be easily engaged at anytime. This feature allows you to work uninterrupted without stopping to manually replace blades. In addition to the effortless blade change, this knife has a heavy-duty die cast metal body, ergonomic rubber grip, and three secure locking blade depths. Purchase with the UKH-326 Leather Holster to be locked and loaded for your toughest jobs. The versatile QBS-20 Safety Utility Knife combines the durability of an industrial knife with the safety benefits of a self-retracting safety cutter. To prevent painful and costly injuries, the blade will spring-back into the cutter once the cut is completed. The unique integrated hinge design and easy-open dial make for a convenient tool free blade change. Plus, the all metal construction is extremely durable and features a comfortable ergonomic rubber grip. For better retention purchase with the UKH-326 Leather Holster. The MS-410 is a heavy-duty all purpose Metal Scraper that is perfect for cleaning glass, scraping paint, removing floor wax in corners, and a host of other applications. 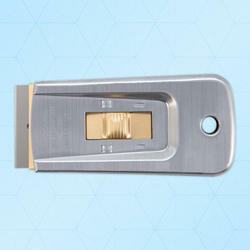 The push-button moves blade out into position and can be retracted for safe storage. This version of the Fish 200 is sealed for security. The screws that are used in the standard knife are replaced with 'rivets' so that you cannot open the knife to get access to the blades, making it a disposable knife. The Glove Guard, Utility Guard and Handi Klip lines are now offered in a version that is molded entirely out of a metal detectable plastic that was designed specifically for use in the food processing industry to safely keep your gloves close at hand. SPD-017 Safety Point Blade Dispenser:The SPD-017 Blade Dispenser safely dispenses one SP-017 Safety Point Blade at a time from a durable plastic case by easily pulling the yellow tab. This convenient gravity fed dispenser helps control blade inventory and insures that employees have the proper tools where and when needed to remain productive. 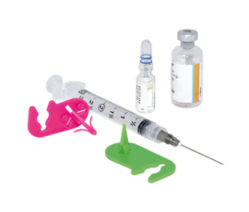 The dispenser contains 100 new blades and fits most PHC safety cutters including the S4, S4S, S5, S7, S8, EZ1, EZ2+, EZ4, EZ7, GSC3, RZ3 and EZ3. Plus, by pairing a PHC Blade Dispenser (SPD-017, QBD-324, or QBD-379) to the front of the PHC Blade Bank you create a blade change station that will increase the safety and efficiency of your staff. By using both items together your employees will be encouraged to properly dispose of loose blades and easily access new replacement blades near their work stations and throughout your facility, ultimately increasing overall productivity. RB-012 is a traditional Single-Edge Razor Replacement Blade. This heavy duty blade is 33% thicker than our RB-009 single edge blade and built for tougher cutting jobs. 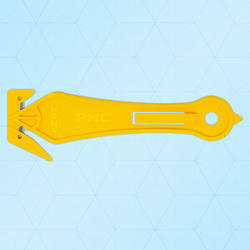 It is ultra-sharp and can be used in both PHC scrapers, Handy Cutters. The blade is .012" in thickness and sharpened to precision. Comes packaged in a Clamshell of 100 Blades. The HB-96 Hook Blade is high quality steel and holds a very sharp edge that lasts longer than other brands. With the universal two-notch blade they fit most standard utility knives on the market and are perfect for cutting roofing, linoleum, carpets and much more. They are wrapped in tucks of five blades and packaged together in a box of 100 blades. 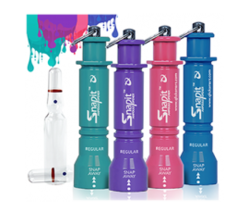 The Qlicksmart SnapIT ampoule opener Personal edition is made from high-quality, autoclavable aluminium that is perfect for a thorough cleaning after opening glass ampoules. 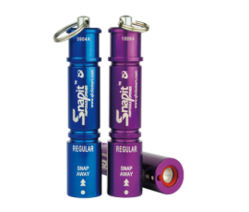 The SnapIT ampoule opener Personal edition is ideal for hanging on a lanyard or carrying in a pocket for easy, on-the-go use to open glass ampoules. The Qlicksmart SnapIT ampoule opener Trolley edition is made from high-quality, autoclavable aluminium, which offers complete protection against glass ampoule injuries. Available in three sizes, the SnapIT Trolley Edition comes with a flat side that stops it from rolling and potentially falling off a table or trolley. The Qlicksmart SnapIT Lite ampoule opener Lite edition is made from a sturdy and high quality plastic. It is perfect for hanging on a lanyard or carrying in a pocket for easy, on-the-go use to open glass ampoules. A hexagonal anti-roll collar ensures the SnapIT ampoule opener remains stable when placed on a table or trolley.